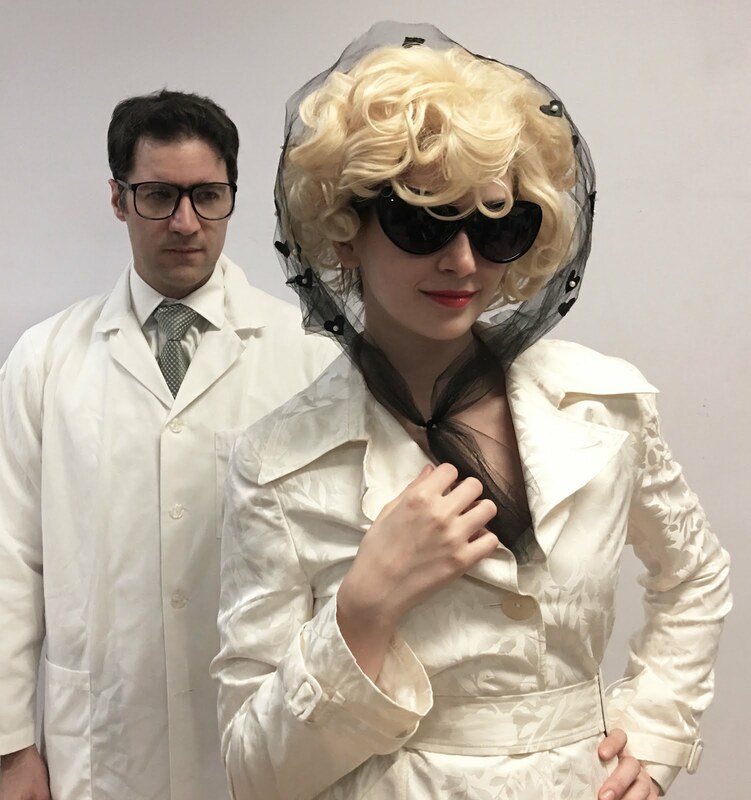 The actors performing in my play NORMA JEANE AT THE PAYNE WHITNEY PSYCHIATRIC CLINIC - the beautiful and talented Jenna Sander and Matt DeCapua. Jenna is wearing the coat I mentioned in the previous blog post from today. The collar on our coat is quite a bit larger, but you can definitely see the resemblance.